Description: This is a rare semi-custom model home fully loaded with upgrades and amenities galore! Like no other home in the area. This is truly the a+ perfect open floorplan. Among the many featured upgrades are: four smart home features, cherry cabinets with under lights, upgraded carpet & pad, upgraded tile, lights, fixtures, interior and exterior doors, wide plank wood floors, ethan allen and hunter douglas window coverings, barn door seasonal closet, closet built-ins, euro shower, wet bar w/dishwasher, professionally finished basement and the list goes on. 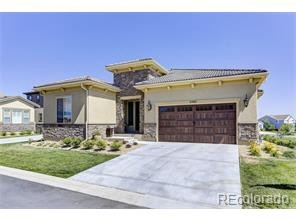 You’ll love the large extended lot with mountain and golf course views plus our famous erie hot air balloons. Full upgrade list available in the home during a showing.